RANS Electrical offers a wide range of Hipot testing for your installation in which we own and operate. 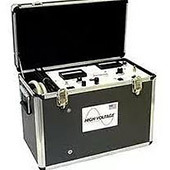 An important note we can also test Partial Discharge (PD) and Tan Delta off line with our Hipot test sets. What is a Hipot test? Hipot is an abbreviation for high potential. 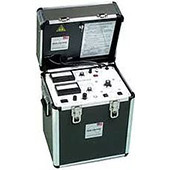 Traditionally, Hipot is a term given to a class of electrical safety testing instruments used to verify electrical insulation in finished appliances, cables or other wired assemblies, printed circuit boards, electric motors, and transformers. A Hipot test (also called Dielectric Withstanding Voltage (DWV) test) verifies that the insulation of a product or component is sufficient to protect the operator from electrical shock. 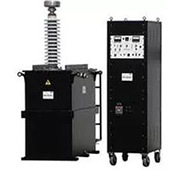 In a typical hi pot test, High Voltage is applied between a product’s current-carrying conductors and its metallic shielding. The resulting current that flows through the insulation, known as leakage current, is monitored by the Hipot tester. The theory behind the test is that if a deliberate over-application of test voltage does not cause the insulation to break down, the product will be safe to use under normal operating conditions—hence the name, Dielectric Withstanding Voltage test. In addition to over-stressing the insulation, the test can also be performed to detect material and workmanship defects, most importantly small gap spacing’s between current-carrying conductors and earth ground. When a product is operated under normal conditions, environmental factors such as humidity, dirt, vibration, shock and contaminants can close these small gaps and allow current to flow. This condition can create a shock hazard if the defects are not corrected at the factory. 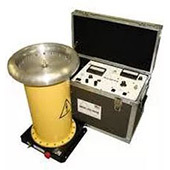 No other test can uncover this type of defect as well as the Dielectric Withstand test.